Live Viraal is a one-and-half-foot long eel-like freshwater fish, which is a great delicacy in the southern districts of Tamil Nadu. I remember my mother buying Live Viraal from vendors, who used to bring a tub of water with the viraal swimming around in it. It used to be bought and kept in an anda (large brass water-storing vessel). The next morning my mother used to rub ash from the firewood stove on to her palms, to be able to grasp the slippery fish, catch it by its tail and take it out into the courtyard and swing it and dash its head against the paving stones to kill it. She used to rub the firewood ash on it and scrape the fine scales off. After slicing it, she used to rub salt on the slices, especially the skin of the fish, before washing it thoroughly. The salt removes the slime which is usually found on the skin of the freshwater fish. Those who are used to marine fish dislike freshwater fish because they do not know this way of cleaning it, and the slime gives it a better taste. Now, Supreme Seafood in Chennai deliver cleaned ‘live’ viraal slices to my doorstep and thankfully I do not have to go through the gory process of killing it. The recipe given below can be used for any freshwater or marine fish. Masalai Vadai or Masala Vadai or Masal Vadai is a snack popular in all the South Indian states. In Tamil Nadu it rules the snack counter, from the humble street vendor to a 5-Star hotel (though it may not have the authentic flavour). 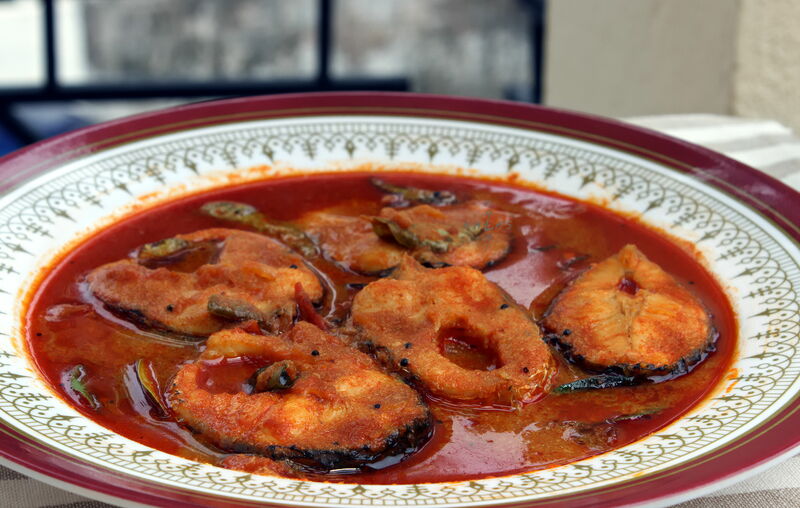 The leftover vadais are utilised to create the most mouth-watering dish Vadai Curry (but the ingredients apart from Masalai Vadais are never disclosed). 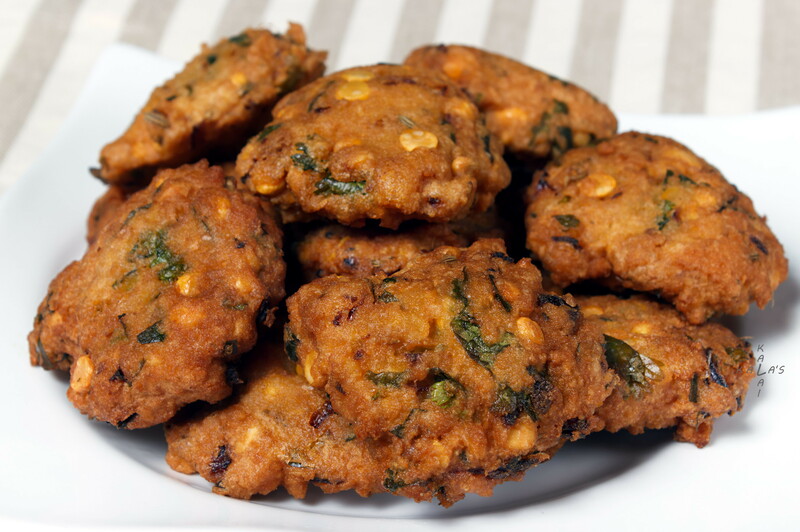 It is mentioned in Tamil fables for children such as Paati Vadai Sutta Kadhai (Tale of Granny’s Vadais). It is also used as bait in rat traps because of its appetising fragrance and slightly hard texture. My daughter, who is very fond of Masalai Vadai, has developed this simple recipe, but unlike the hard texture associated with this snack, she has given it a soft texture and the result is brilliant or awesome (depending on which generation you belong to). 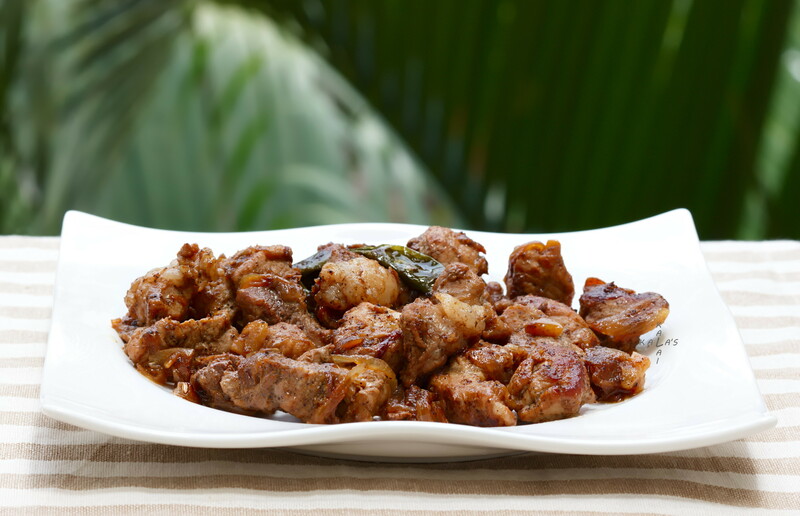 Pork and Beef never feature in Tamil non-vegetarian cookbooks. Both are eaten here, but this is rarely acknowledged by certain sections of society and never by those who write recipe books. However, eating pork for medicinal reasons is generally accepted. My aunt Cynthia moved to Madras (Chennai) in the summer of 1962, to stay with her son who was working here. 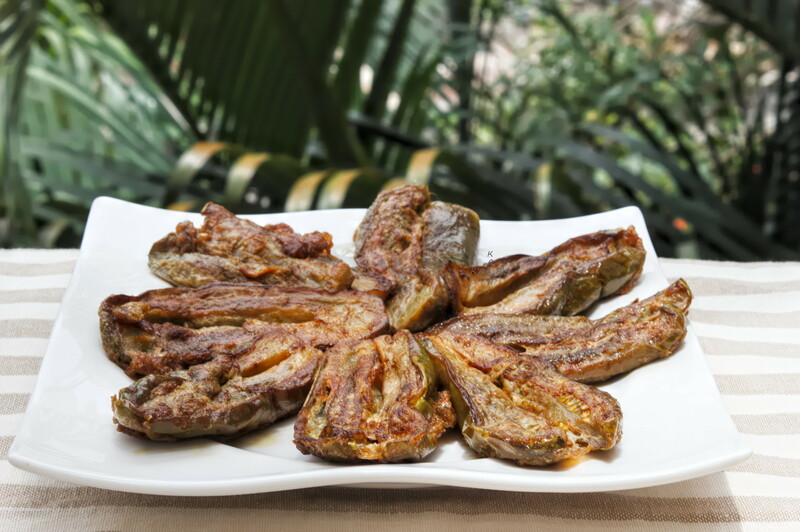 We used to spend weekends with them, and she prepared egg-coated eggplant one evening as a side dish for our dinner. I used to dislike brinjal (eggplant), because my mother treated it as a staple vegetable. But this Muttai Kathirikkai as my aunt called it, changed my taste perspective of brinjal. I took a liking to the vegetable, and I ate it without protest from then on. Indian cottage cheese or paneer belongs to North India. Paneer was not very popular in the South because of the process involved in preparing it in homes. The milk had to be boiled and curdled with the addition of lime juice, and the solid milk protein or paneer had to be tied in a muslin cloth and hung for the whey to drain. Though my family is very fond of paneer, I found it tedious and cumbersome to prepare it in this manner. But paneer burst into popularity in South Indian homes when different brands of commercially prepared paneer appeared in the refrigerators of supermarkets. The palak paneer which could be tasted only in restaurants, started to grace the tables of adventurous South Indian homes. The nutritient contribution of this dish to a meal is excellent as the milk protein in paneer is a complete protein (easily digested and utilised by the body) and the spinach is rich in minerals, vitamins and fibre.